NewWorldView ~ Your Life Begins When You Know Its Purpose! Our mission is to help you consciously create your reality—find out more. 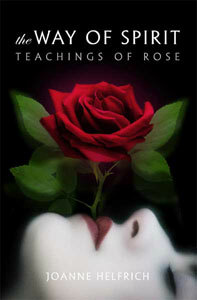 Joanne Helfrich’s new channeled Rose book is finally here! What if life knows better than you do what you need? And what if everything—even loss—could contribute to your happiness? Wouldn’t that make the large and small losses you experience daily easier to take, and life itself a friend rather than an enemy? Yes it would. The problem in not knowing how to process loss is what keeps millions of people suffering with anxiety, addiction, despair, and depression. But you don’t have to, because this little book will help free you from what makes you unhappy so you can live with joy and purpose. 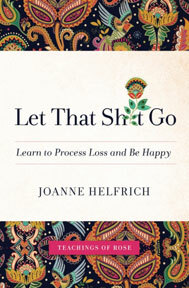 The inspiring, often humorous wisdom and practices will help you feel better right away, clear your harmful habits of thinking, release guilt and regret, and find yourself in love with life again. BUY ON AMAZON. Chris Johnson’s Mastery of Self-Compassion Course will help put an end to your “negative” experiences. Based on his book, It’s About You! Know Your Self, this course helps you befriend your ego self, learn how your ego-self approaches reality creation, address the problematic beliefs that prevent you from fully expressing yourself, and more! You’ll receive access to valuable materials and exercises each month that are designed to establish a compassionate regard for your ego-self. Find out more. The newest offering by C.W.E. 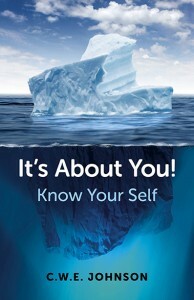 (Chris) Johnson expands upon the 10 Natural Principles in Johnson’s first book It’s About You! Know Your Self. 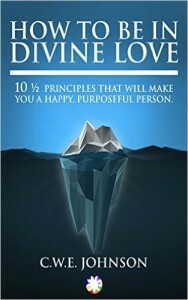 A definitive guide to the foremost spiritual Principles that underpin how Divine Love steers our creative endeavor for the maximum benefit of everyone and everything. Includes direction on how to adhere to the Principles for attaining “Divine Love” – a “state of being” that will transform your life. Many books tell you that your life has purpose. This one will help you to discover yours. Contribute to the world in joyful ways. At last! This first book in a trilogy aims to awaken you to your intent and purpose for this lifetime, so that you can gain the deepest fulfillment from life. It’s About You! 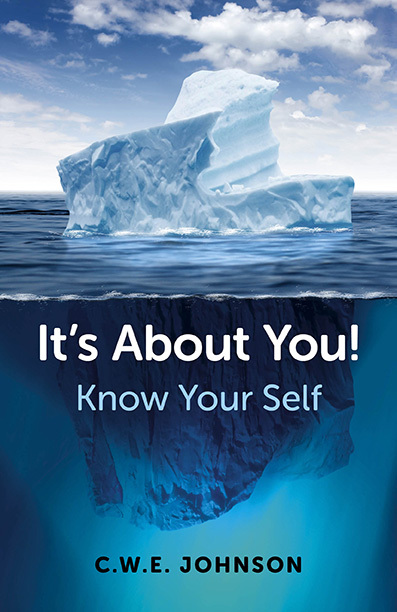 Know Your Self integrates some of the most profound teachings from science, metaphysics, psychology, philosophy and spirituality into a set of experiential workbooks. The primary aim of the trilogy is to awaken the reader to their own personal intent and in so doing clarify the purpose of their life. Such knowledge equips us with the means to better manage those key areas within our lives—health, relationships, occupation and abundance—and begin living a more joyful existence. Join us on the NewWorldView Facebook page for discussion, collaboration, and any number of exciting new possibilities!